Home teeth whitening is where you apply a special teeth whitening gel into a personally created gum shield or ‘tray’ and wear it overnight for 1 – 2 weeks. At Castle Dental we recommend the Boutique at home whitening system. This is a cheaper alternative to combination teeth whitening, but it does takes longer to achieve the results that you get with a combined home and in-surgery whitening system such as Enlighten. One of the advantages of home teeth whitening is that once you have been provided with your personal teeth whitening trays, you can top up the whiteness of your teeth by purchasing top up whitening agent syringes from our practice. 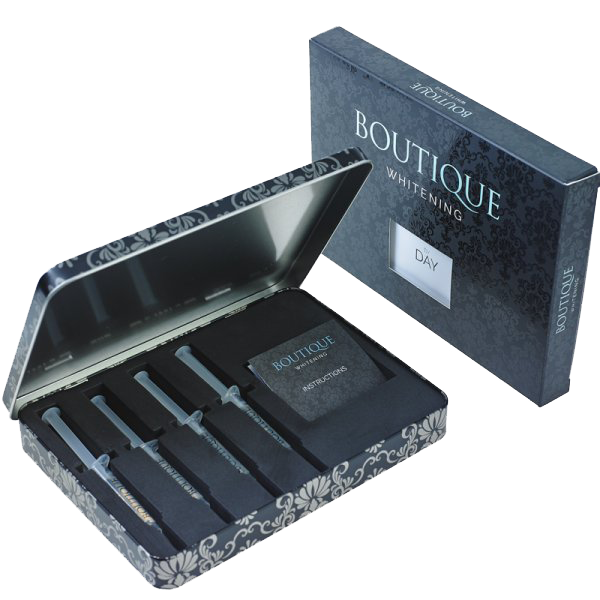 At Far Headingley Dental Care we use the very effective Boutique whitening product, ‘By Night’. This is a 16% carbamide peroxide gel, containing potassium nitrate, which is proven desensitiser. Worn for 4 hours, or overnight in personal whitening trays, this gel is designed for patients who would prefer to not have to use their trays in during the day and would prefer to whiten whilst they are asleep. What is the teeth whitening agent? The active chemical in the teeth whitening agent is 16% carbamide peroxide. This gel releases oxygen free radicals (which whiten the teeth) over a longer period of time, due to its sustained release. This gradual approach will still give fantastic results, due the length of time the gel stays active. Some people have naturally darker teeth. Your teeth can also be stained on the surface by food and drinks such as tea, coffee, red wine and blackcurrant. Smoking can also stain teeth. Tartar can also affect the colour of your teeth. 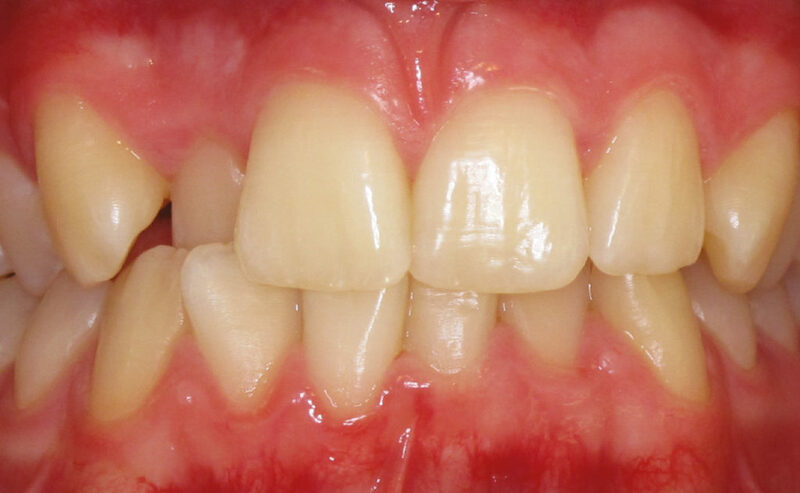 Some people may have staining under the surface, which can be caused by certain antibiotics or by tiny cracks in the teeth which allow the stain to penetrate the teeth. What are ‘personal whitening trays’? Teeth whitening trays look like a gum shield or mouth guard. Your dentist will take an impression of your teeth and send this away to a dental laboratory so that they can use this as a mould to create trays that are designed for your teeth. This ensures that you have a perfect fit and that the whitening agent can be evenly administered onto your teeth without leakage. 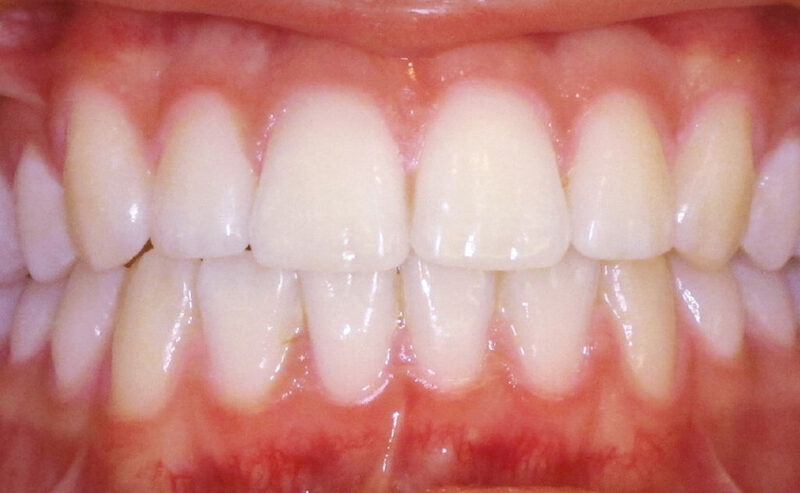 In a very small number of cases patients might find that their teeth become sensitive during or after the treatment. There could be discomfort in the gums, you might get a sore throat or tiny white patches on the your gums. These symptoms are usually temporary and disappear after a few days of the treatment finishing. The most frequent side effect is a small amount of sensitivity that your dentist can help you with by applying a desensitising gel on your teeth.